What an absolutely wild last few days of the regular season. From teams jockeying for position, to stunning fourth quarter comebacks, to all-time legends retiring, it’s been overwhelming, to say the least. With that said, the NBA Playoff bracket is officially set! We know the 16 teams and 8 first round matchups that await us. The playoffs begin this Saturday, April 13. Here is a quick preview! 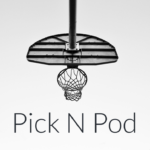 Also, check out the latest episode of the BallnRoll Pick-n-Pod right here for completely breakdown and predictions for the first round of the NBA Playoffs! The Pistons literally hobbled their way into the playoffs, getting in by the skin of their teeth over a resurgent Hornets squad. Blake Griffin even missed the last game with a knee injury and there will be serious concerns about his health. The Bucks are still dealing with injuries to Malcolm Brogdon and Nikola Mirotic, but they shouldn’t have many issues with the Pistons. Expect this to be a quick series. Kudos to the Orlando Magic for ending the longest playoff drought in the Eastern Conference, as this will be their first appearance since 2012. 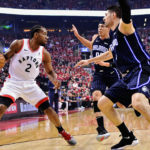 They ended the season on fire, winning 10 of their final 12 games led by some inspiring play from Nikola Vucevic and Terrence Ross. 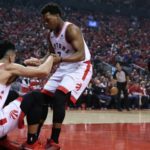 They’ve actually fared well against the Raptors this year, splitting their season series 2-2, but with the Raptors hungry, and with something to prove in this year’s playoffs, this could be a quick series. 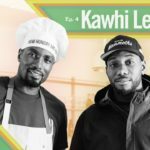 Kawhi has said that his season begins in the playoffs; let’s see how he elevates his game. This is all of the sudden the most intriguing first round match up in the Eastern Conference. News popped up out of nowhere yesterday, when 76ers general manager Elton Brand said that “it’s possible” Joel Embiid won’t be ready for the start of the postseason. Make no mistake about it, Embiid is the 76ers most important player and his absence could prove costly. The Nets, are young, hungry, talented, and are playing with house money. 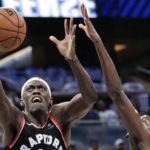 They’ve played well against the 76ers this season, splitting the series, and will feel as though they have a legitimate shot at advancing. Ben Simmons (PHI) scored 31 points, Tobias Harris (PHI) added 29 points and 16 rebounds, while JJ Redick (PHI) chipped in with 26 points of his own. The fact that the Pacers have managed to hold on to a 5 seed after losing their best player early on in the season deserves high praise. No matter what happens in this series, they should be proud of the season they had. Even though they are coming into this series as considerable underdogs, it’s not like they have no chance. The Celtics have looked vulnerable all year and the injury to Marcus Smart could be more significant than it appears at first glance. Call me crazy, but a part of me still thinks that the Celtics are going to hit top gear and start playing better basketball. If that is the case, the Pacers are in trouble. Seven Pacers players finish game in double-digits. No, that is not a typo; it says Clippers, not Lakers. I am still trying how the Clippers are in the playoffs. At the deadline, this team traded away their best player, effectively punting this season and preparing for the off-season and future. Instead, they’ve gone on to play some inspiring basketball, with one the best records in the NBA since the All-Star break. Their reward? A first-round meeting with the two-time defending champions, Golden State Warriors. Barring serious injuries to Kevin Durant and Steph Curry, it’s hard to see this series not being a sweep. The Nuggets jockeying for position down the stretch got them exactly what they wanted; a first round meeting with the Spurs, and a path to the Western Conference finals, avoiding the Warriors and Rockets. This could be a very dangerous game to play or it could be a stroke of genius. For all of struggles this season, the Spurs are still coached by Greg Popovich and have two All-Stars in DeMar DeRozan and LaMarcus Aldridge. As Nuggets coach Michael Malone said, “Pop have 5 championship rings, I have a wedding ring.” The Nuggets have the talent but the Spurs have the coaching and experience. This should be an interesting series. Home-court advantage could prove pivotal. Derrick White (SAS) scores 36 points, including 26 points in the first half, DeRozan adds 25 points. Jokic scored 22 points in loss. It took some heavy lifting for both of these teams to get to this position. First, the Thunder had to pull off a 14-point fourth-quarter comeback against the Houston Rockets a couple a nights ago, before defeating (a reserve-filled) Bucks squad without Paul George. The Blazers, meanwhile, needed a buzzer beater from Moe Harkless to defeat the Lakers and a 28-point comeback (!) against the Kings without Lillard and McCollum. Now that the two teams got what they wanted, let’s see what happens. The Thunder have dominated the Blazers this year, sweeping the season series 4-0, but that won’t discourage the Blazers as they know they have home-court advantage in this series. Having played so well since the All-Star break, and only a game out of the 2nd, the Rockets will be extremely disappointed to end up with a 4 seed. The Jazz, on the other hand, will be thrilled to have gotten up to a 5 seed after yet another strong second half to the season. These teams split the season series and I fully expect a close, competitive series here. The Jazz are no strangers to first round upsets, either, eliminating the Thunder in last year’s playoffs.